Discover campsites of Aveyron France but also over 450 campsites throughout France, offering a variety of rental mobile homes, chalets and accommodation of more atypical as bungalows or caravans, but also leisure facilities such as aquatic areas with sometimes an indoor or well even with heated pool for your comfort, for an unforgettable vacation. Welcome and enjoy your visit in Aveyron (12) . Campsites in Aveyron welcome you to your camping holiday 2, 3, 4 and 5 star or LRP. 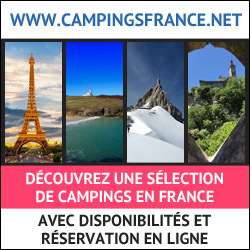 Campsites with recreational facilities (swimming pool, water park, water park, water slides, wading pool, spa, playground, tennis court, multi-sports), entertainment and services (restaurant, bar, food, WiFi access, disabled access, camper services) to make the best of holidays throughout Aveyron. Traditional camping in Aveyron on pitches or rental of mobile home camping, campsites below offer the best camping in Aveyron. Enjoy the outdoor accommodation and campsites in Aveyron! Rental of mobile homes, chalets, bungalows, cottages, Bengali, cottages, trailers, caravans, tipis and camping sites equipped for your holidays in Aveyron, our French campgrounds welcome you everywhere in Aveyron, a favorite camping in Europe. 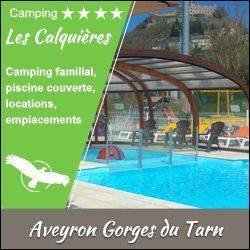 Have a great holiday camping with our campsites in Aveyron! Welcome to Occitanie, our 4-star campsite La Source in Aveyron, Airotel campsite located at the edge of the lake of Sarrans. Small haven of peace in a classified site, and protected in the middle of the nature, between the Plateau of Aubrac and the Cantal Mountains located south with space. Charming, family and welcoming campsite, with many beautiful equipments (heated swimming pool, waterslide, multi-sports ground, tennis, mini-golf, playground, petanque, ping-pong, bar, restaurant / pizzeria ...) and varied entertainment in July and August, as well as games on the lake. Selection of 48 campsites high-end throughout France Quality Home Comfort and are always present With Airotel, holidays are more beautiful! Camping classified 3,4 and 5 stars. --- Seaside, Mountain or Country Book your holiday online with live campsites. 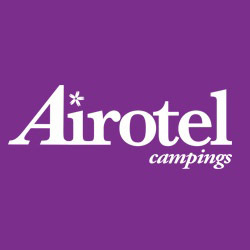 With Airotel Campsites, holidays are more beautiful ! Located in South-Aveyron, in a green setting and in the heart of the Tarn Valley, we welcome you throughout the year *. Situated 20 kms from MILLAU, on an unique and panoramic site of the Regional Natural Park of Grands Causses, in a relaxing and family atmosphere (99 sites), you will appreciate the comfort of mobile homes, fully equipped chalets-chalets, with television, terrace, garden furniture, deckchairs .... There are spacious camping pitches,and the new sanitary blocks are perfectly maintained. You will love the direct access to the river, the leisure facilities available on site: City Covered Stadium with football field and Padel, children's games, inflatable game, Petanque area, swimming pool or practice an outdoor sport: fishing, mountain biking , canyoning, hiking ... We will inform you about the sites to visit: the cellars of ROQUEFORT (10km), the Viaduct of MILLAU (15km), the valley of RASPES and the GORGES of TARN ... Without forgetting the gastronomy of a soil rich in flavors. Nature, surroundings and leisure ... For successful holidays. * Closing from 16/12/18 to 07/01/19. Our campsite Le Caussanel has direct access to the Pareloup Lake and is situated in the heart of the Aveyron departement. During high season, we mostly welcome young families thanks to our on site equipment and entertainment. Our campsite in Aveyron, Midi-Pyrenees, CAMPING LAKE Bonnefon is a 3 star site offering various locations and events. The campsite is equipped with a heated pool and a wading pool, snack bar, kids club and animation teen / adult. The campsite offers the rental of linens, bungatoile, mobile homes, chalets for your vacation rental, camping sites or traditional nature or comfort for your stay in tents, caravans or camper. Everything you need for a wonderful holiday CAMPING LAKE Bonnefon to Naucelle. Gorges du Tarn, Aubrac, Laguiole, Cités templières, Micropolis Cité des insectes, Conques, Caves de Roquefort. 12/03/2019 : Derniers préparatifs avant l'ouverture du camping le 10 avril ! 16/11/2018 : Que visiter à Rodez, la capitale de l'Aveyron ? 02/11/2018 : Avez-vous déjà vu le Trou de Bozouls ?